Scientists from ITM and GlaxoSmithKline joined their efforts to speed up the search for new drugs against kala-azar. The fight against infectious diseases is an arms race to continuously develop new drugs to counter adaptations of pathogens. This is even more crucial in neglected diseases, for which the arsenal of drugs is limited. Scientists from the Antwerp Institute of Tropical Medicine (ITM), Belgium and GSK Tres Cantos (GSK-TC), Spain, joined their efforts to speed up the search for new drugs against kala-azar. In a research paper published in the journal Scientific Reports, the scientists show the importance of screening compounds against parasites currently circulating in human patients and not only against reference strains. Neglected tropical diseases are a group of 17 infectious diseases affecting more than one billion people in (sub-)tropical areas, most often among the poorest of the poor. Kala-azar (Hindi name for black fever, also known as visceral leishmaniasis) is one of them, and the biggest parasitic disease after malaria, with around a million cases and up to 30,000 deaths each year. The disease is caused by unicellular parasites called Leishmania. The arsenal of drugs to treat kala-azar is limited: drug resistance has already led to the abandonment of antimonials in the Indian subcontinent. Miltefosine shows decreased efficacy and does not reach patients who need it the most. Increasing migration, co-infection with other infectious diseases and treating infected dogs with the same drugs that are used for humans could lead to drug resistance in other regions, including Europe. It is essential to develop new drugs that are more effective, have an improved safety profile and are more accessible to patients. 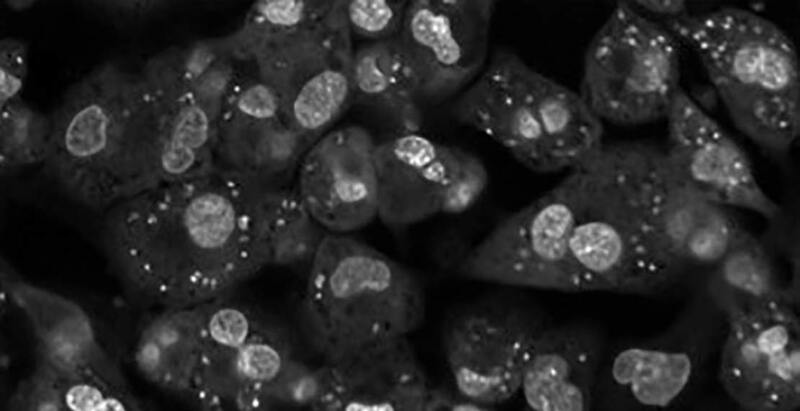 In a previous study, GSK-TC researchers in collaboration with Tres Cantos Open Lab Foundation and academic institutions discovered the ‘Leish Box’, a series of molecules active against one of the reference strains of Leishmania. “When pharmaceutical companies develop new anti-infective drugs, they often start by testing their molecules on a single reference strain. These reference strains were isolated decades ago and are maintained in the laboratory”, said Prof Jean-Claude Dujardin, co-author and Head of ITM’s Department of Biomedical Sciences. If the drugs were successfully tested on these reference strains in the lab, it does not always mean that the drugs will be effective in the field. For their new study, ITM and GSK-TC researchers made a secondary screening of the Leish Box against clinical isolates that were recently obtained, including those resistant to drugs currently used in the field. They discovered that only 45% of the compounds were active in both the new clinical isolates and the older reference strain. That’s why they recommend testing potential drugs against Leishmania on actual patient samples at some point along the drug discovery process. “We need to know if the most promising compounds will also be active against clinical isolates resistant to currently used drugs. These are the die-hard parasites that will challenge the new drugs once they are used in endemic regions”, said Aya Hefnawy, first author of the paper and a PhD student at ITM in the context of the Euroleishnet Marie Sklodowska-Curie Innovative Training Network (ITN).